A Glimpse: The Truly Excellent Scepter is an ebook that bridges Book II of the Trinity Tales of Tresia Series and Book III, A Perfectly Magnificent Cane. A Glimpse also appears at the beginning of Book III. Ebook is available only through Amazon . A Glimpse: The Truly Excellent Scepter is a fascinating glimpse into the world that is awaiting believers upon their death. Have you ever wondered what happens after your last breath on earth? 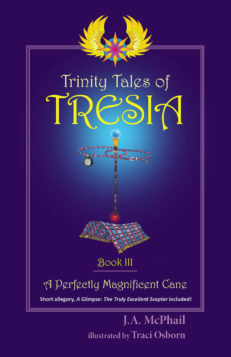 In this short allegory, based on the author’s Trinity Tales of Tresia series, Winny’s grandmother is taken on a journey into the Realms of Tresia, past, present, and future. Whether or not Gran has left her old body to enter a new spiritual body, she isn’t sure. But she knows something has changed. The journey begins when Gran leaves the beloved farmhouse where she had lived her entire life and where she spent hours in her Kingdom Corner speaking Wind Words over her family. After she views scenes from her earthly life and past journeys to other realms of Tresia, she meets her childhood friend and guardian, HuLi, who is also a mighty Messenger of the T’sabah, the army of the Garden Realm. He takes her for a ride on his Winged Beast, Tundra, a huge white tiger. They land at a magnificent estate that strangely resembles her old homestead. She experiences the heavenly family reunion she has waited and longed for, with those she loved most in the Earthen Realm. Next, Gran climbs the Stairway of Truth where she is shown three Glimpses. First, of a long ago rebellion and battle that destroys everything that had been before. But then, she witnesses the amazing re-creation of Tresia. Second, Gran visits the beautiful glistening Gem Mines hidden below the Earthen Realm. But she doesn’t quite understand what she sees there. Third, she finds herself on a mountaintop. Secrets are revealed and some of Gran’s questions are answered, but she learns about a hidden mystery saved for the End of Days. Last, Gran is reunited with three Samoyed dogs, Winged Beasts that she knew and loved in the Earthen Realm. True, they had shared fantastic journeys together, but Gran also lived everyday life on the farm with all three pets. Gran’s final journey begins on Glimpse Mountain where she is given a final vision and presented with a choice. Her heart is pulled in two directions, but how will Gran’s decision affect her granddaughter, Winny? It could change everything for both of them. A Glimpse is a story for all generations that will leave adult readers wanting to discover and share more about the Realms of Tresia as they ponder their own future and those of the children they love. This book is only available as ebook through Amazon. 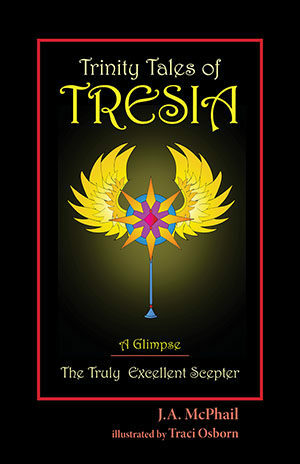 A Glimpse: The Truly Excellent Scepter is a short story that is part of her Trinity Tales of Tresia trilogy, geared to her adult audience who are looking for an upper middle grade inspirational fantasy series to pass along to the children in their lives. 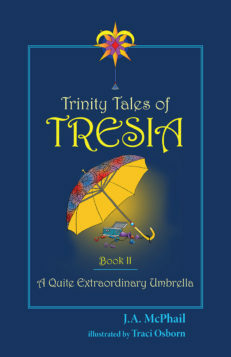 Book I, Trinity Tales of Tresia: A Most Remarkable Hat and Book II, Trinity Tales of Tresia: A Quite Extraordinary Umbrella are available now. A Glimpse: The Truly Excellent Scepter is an ebook that bridges Book II and the soon to be released Book III, A Perfectly Magnificent Cane. One you need to READ – A wonderful series for any age. It is a mystery and uplifting book that will bring a joy from reading. 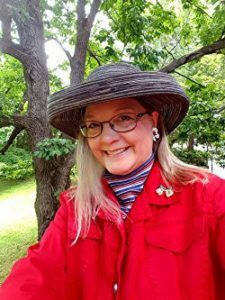 Based on Christian values – Jeannie McPhail creates an elaborate fantasy based on Christian values for a young girl, her faithful dog, and her companions. Bravo, Jeannie, great job! You did such a great job writing, describing in beautiful details so that I could put myself right there, living through your words and descriptions. And the best part is that in the midst of the fantasy world – God was lifted high and exalted. Editorial Review – A Glimpse: The Truly Excellent Scepter brings to life for the reader, a world extravagantly beautiful and filled with imaginative scenes. In this short heavenly allegory based on J.A. McPhail’s Trinity Tales of Tresia series and told in the grandmother’s voice, one can inhale and be in the midst of it all. Life lessons shared with Gran’s Young Ones have followed them into adulthood, and the battles they have all valiantly fought thus far, prove the courage found within their hearts for the journeys yet to come. 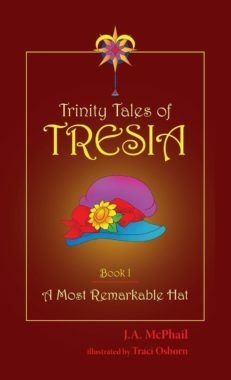 Editorial Review – Based on the Trinity Tales of Tresia series by J.A. McPhail, A Glimpse: The Truly Excellent Scepter was a fascinating glimpse into the world that is awaiting believers in Christ upon their death. The author uses beautiful word pictures to describe the majesty of heaven through the eyes of Gran who experiences one adventure after another. The truths of Scripture are skillfully woven and hidden throughout. My favorite lines were: “I’m really here,” I whispered. I clung to him, my arms encircling his broad shoulders. I remembered hearing that there were no more tears in the Garden Realm. They must have meant sad tears, because I discovered that tears of joy still existed. For any who have ever wondered about the purpose of life, this is a must read. 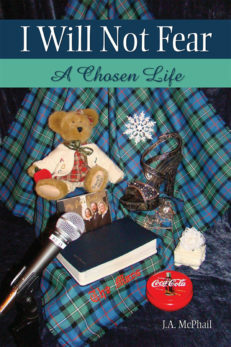 Editorial Review – Loveable characters, priceless gifts, and incredible journeys! This series has a powerful message woven throughout. I love this bonus Glimpse inside of Tresia. 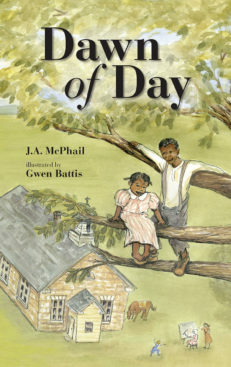 A glimpse that provides a strong textual picture that tugs at the heart, soul, and mind of the reader. Now, I just need Book III!